House, you can easily enjoy everything the eternal city can offer you. Rooms are either in the front and in the back side of the hotel in one level. Our friendly and familiar staff is willing to welcome you and help you with anything you might need in order to make your stay with us as pleasant as possible. Nearby (just 200 metres away) there is a public parking where guests can leave their cars with an extra cost. 24 hours reception: our staff will be available 24 hours a day helping you with anything you might need such as restaurant reservations, guided tours information, advices about the best places to visit in Rome and so on. Continental breakfast: served every morning in our breakfast room. Room service (upon request). Transfer from and to the airport: to make your arrival and departure as easy as possible we can offer this service on request. Tour guide reservation: you will find at the reception all the necessary informations about guided tour in the Eternal city. There are 6 rooms with a view on the street an the other 5 are inside the palace. 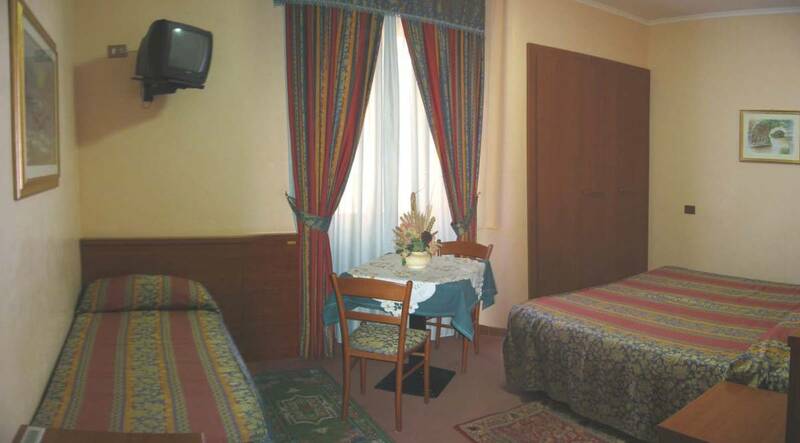 Rooms are not noisy because Buonarroti Home is located in 19th century palace and the walls are very strong and thick. 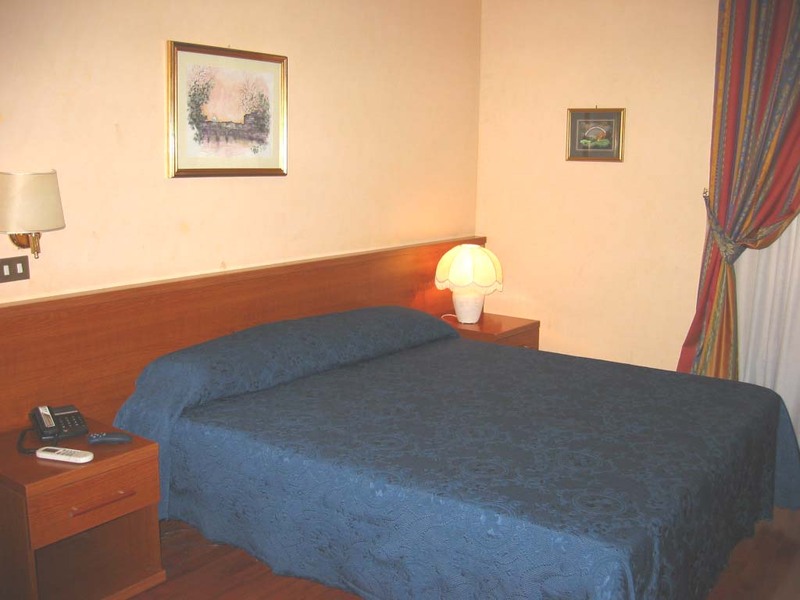 If you would have a quiet stay in the eternal city Buonarroti Home can offer you all comforts. Furthermore rooms are very spacious, quiet and peaceful in order to guarantee your rest. Buonarroti Home has 11 very nice and quiet rooms fully equipped with all the comforts of the modern life such as en-suite bathroom with shower, colour TV, mini-bar, safety box, individually controlled air conditioning and heating. All our rooms are elegantly decorated with wood furnishings and whether in red or in blue tones. Nearby guests can find everything they might need such as banks, post office, supermarkets and grocery stores, theatres, cinemas, restaurants and bars where they can taste some Roman specialities or simply a snack. The ideal location of the Hotel makes of it the ideal departure place whether you are visiting Rome for business or leisure, in fact within short walking distance guests can reach many of the main places of cultural interest in Rome such as the colosseum, the Roman Forums, the Trevi Fountain and so on. Rate changes according with type of room and period; they include breakfast and all taxes. We can organize, upon guest request, private transfer from and to the main airports Fiumicino(FCO) and Ciampino(CIA). From Fiumicino airport you can take a train (Leonardo Express) and from Ciampino airport a shuttle bus until "TERMINI" Raiway Station. FROM THE MAIN RAILWAY STATION "TERMINI"
We are 5 minutes walking distance from the main Railway station "Termini". If you don't like walk you can take metro line A and your stop is "Vittorio Emanuele"; when you will go out from the underground follow the direction "Via Carlo Alberto", just 100 metres and you can find us.